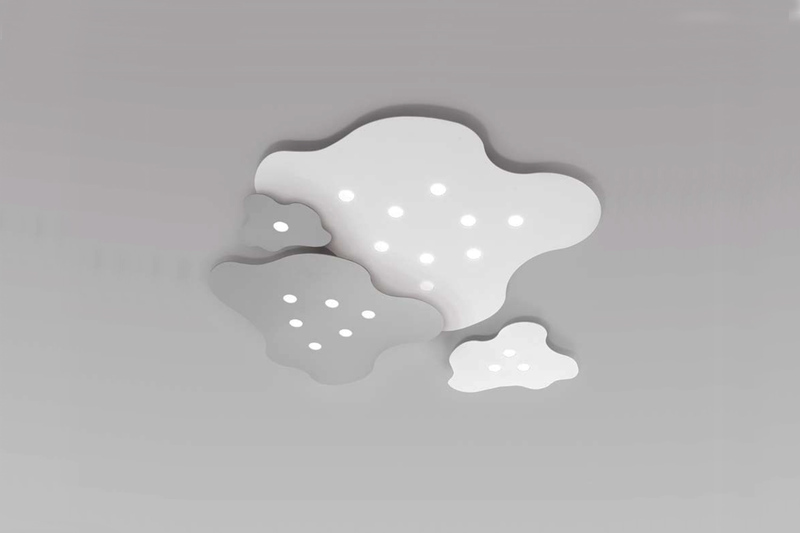 Ceiling lamp, irregular rounded shape. with body/diffuser in aluminium (thickness 2mm). supplied with 220V LeDs not requiring a power supply unit. It can be suitable for modular realisation: with single luminaires different arrangement can be created. Possible dimming (code DIMMer=DIM1). available in: white liquid enamel (BI), grey (G).